If you are - we may be able to help you. You would be surprised how many there are and all perform a critical role in the community supporting relatives, neighbours and friends to stay well in their own home. This might be the care a relative offers to a family member with dementia who needs help with meals or picking up their medication. In another situation a neighbour might be supporting their next door neighbour with a physical disability to manage their weekly shop. A forgotten group of carers are children who may be administering medication to a parent who has a visual disability. Many carers do not recognise the critical role that they are performing and they themselves may need information, guidance or support. Help is at hand! Weobley & Staunton on Wye Surgeries are working in partnership with Herefordshire Carers Support (HCS) which is the appointed NHS Herefordshire organisation to assist carers in a number of ways including encouraging all carers to recognise themselves and then sign up to the HCS database which will then offer them regular written information on what help is available to them now or in the future (the carer is free to opt in or out of the database and what is available at any time). Please print and complete the form below so that both the Practice and Herefordshire Carers Support can register you as a carer. Alternatively please ask at our Reception and we will provide you with the forms to complete. When completed please bring the form back into the Practice so that your details can be updated on our system. A member of our Administration Team will forward the registration form to the Herefordshire Carers Support for you. 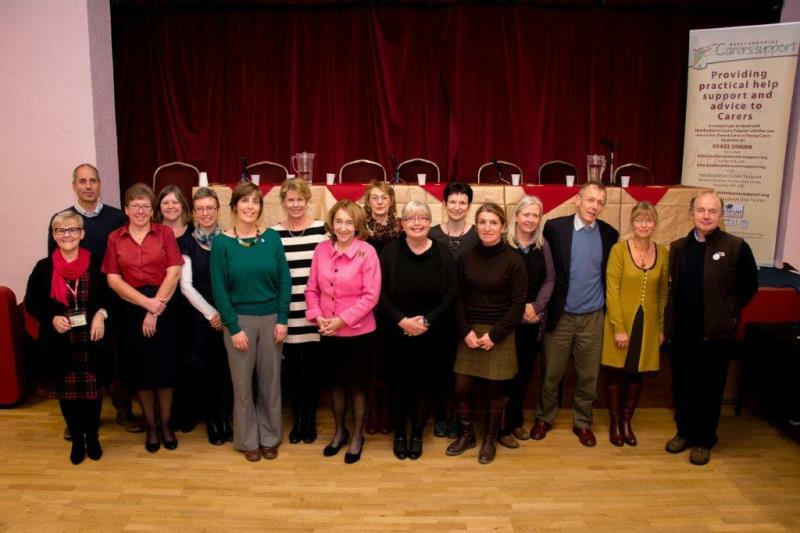 For more local information, please review Herefordshire Carers Support webpage by clicking here. "Annie who is the practice secretary has helped me several times regarding hospital appointments or letters my husband may have required when claiming his War Pension. Bridget the receptionist is always cheerful at the end of the phone and in person. I consider us to be very very lucky having such a wonderful Doctors Surgery. I wonder if they know that at many time they are my lifeline! " "All the doctors for this surgery are excellent, but when going in for hip replacement, she made sure our new nurse responsible for care came round to our home to advise on changing it round to make coming out easier and smoother, it really worked, plus she came round periodically to make sure all was well. “Also having a pharmacy attached to the surgery is amazing as prior coming to Weobley we sometimes had to go to more than the local chemist to get prescriptions made should the surgery pharmacist not being able to get any medication necessary they actually rang round the Hereford chemists to let you know who would be making up your prescription ." 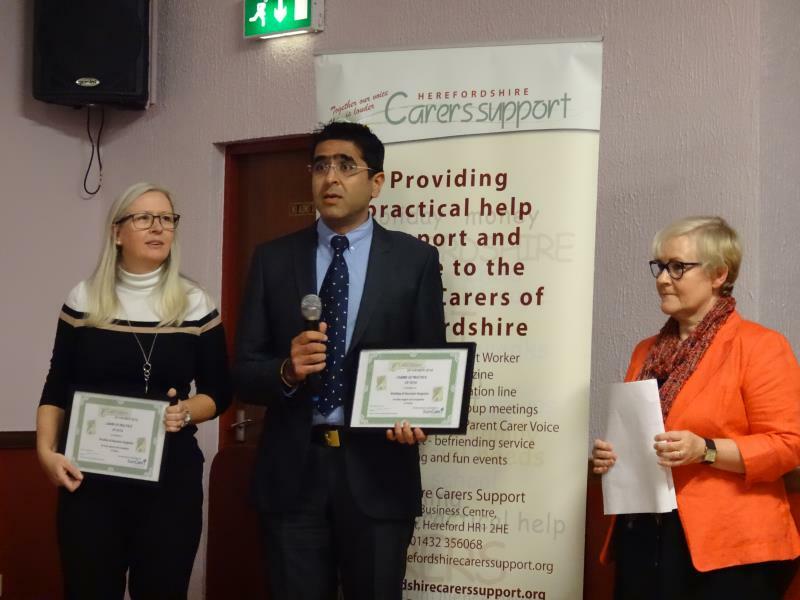 Following on from the success of the 2013 Herefordshire Carers Support GP & GP Practice Awards this year's Awards winners were announced and presented with their certificates for the Best Practice's and Carers Best GP's at Herefordshire Carers Support Carers Rights Day. 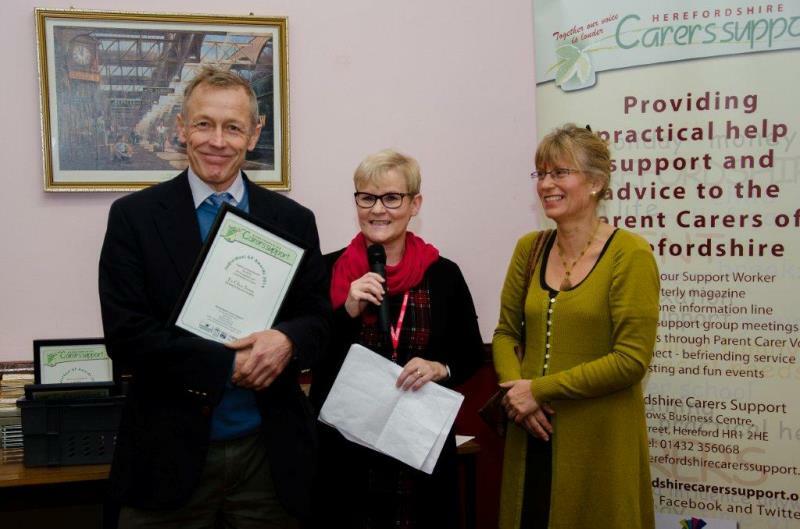 The Awards were well supported by carers again this year with the nominations allowing carers to express their views on the support they receive and to comment on the depth of understanding of a carers role that can be found not only in their GP's but in other members of the practice team. "Most certainly recognises me as a carer & understands my needs & listens to any concerns I have"
"I am able to talk to and feel 100% supported by Dr Oliver Penny"
"We have an outstanding surgery at Weobley the Doctors are exceptional always at the end of the phone.....all members of surgery staff are kind, understanding and helpful"